Our Memphis Art Gallery features contemporary acrylic and oil paintings from local and regional established artists. 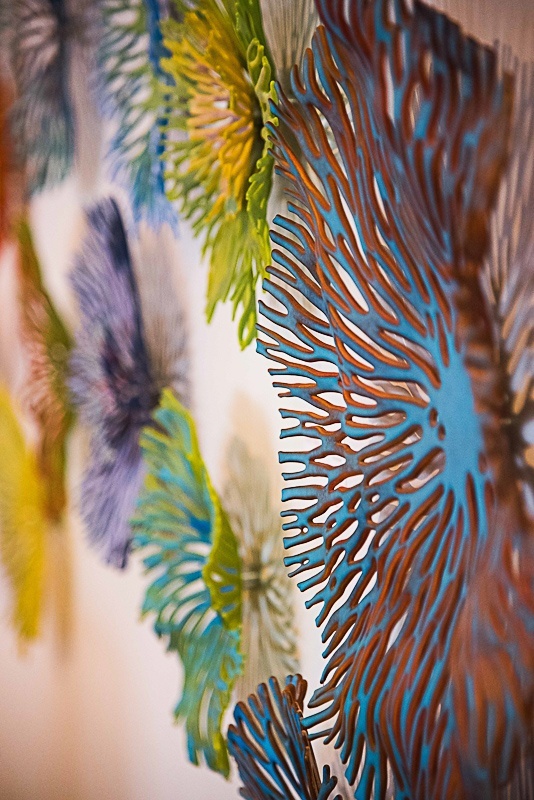 As an alternative to two-dimensional paintings, we also feature original art work in glass, wood, and ceramic sculptures for your walls. Our collection is varied and provides options for both residential and commercial installations. Whether you are looking for an entry painting to make a statement or an accent painting for a niche, come visit. Commission requests are welcome. 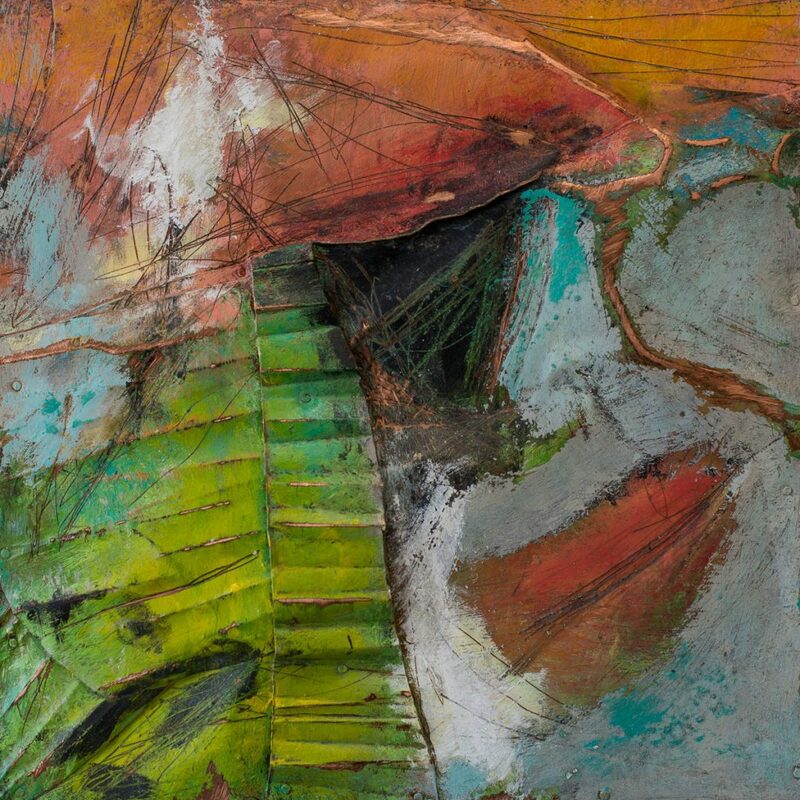 Mezzo fresco artist Tom Clifton focuses on the fusion of color and texture, creating a Mezzo Fresco-sculpted plaster featuring sheer watery acrylics, floating one hue over another. While his themes vary, they all resonate from his world of discovery. Utilizing the techniques made popular by 17th century artists, Tom adapted the mezzo fresco process to canvas. Beginning with a plaster base, he utilizes sculpting and drying techniques to create the desired appearance. The pigment is then applied to the nearly dry plaster. Tom, who is a self-taught artist, has been a part of the Memphis art community for more than thirty years. His paintings are a now a part of numerous collections including private collections throughout the North America and Japan. His work also has been featured on HGTV. He is co-owner of T Clifton Art and dad to Argus. Jacqueline Ellens was born into an army family. By the time she was five years old, she had lived in four states and two countries. Her family finally settled in the Michigan area where she spent her teenage years. She received her BFA from the University of Michigan and her MBA from Mississippi College. She has traveled the world in search of breathtaking vistas and spiritual experiences. 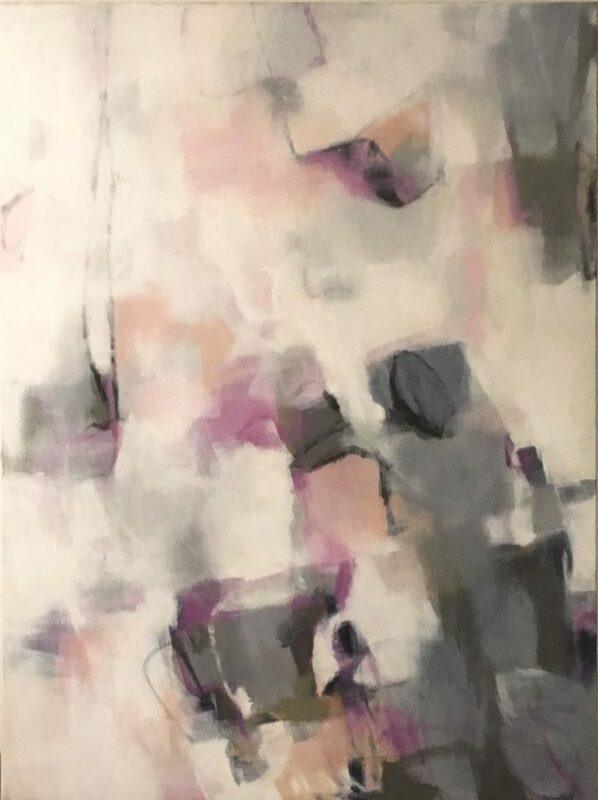 Known primarily for her tree-scapes and abstracts, she experiences the world as “trembling energy” and transduces it with powerful, expressive strokes. Her studio is located in the Jackson, Mississippi area. Mary is a contemporary landscape painter. The natural elements, large expansive sky, peaceful water, quiet green forests, the rocks and wind through the grass are the passions that dominate her work. Growing up on the Great Lakes created a sense that this natural world we live in is more beautiful and mysterious then we will ever know. She was born and raised in Duluth, Minnesota. Growing up she was always extremely creative and lucky to have a mother who indulged her talents. After graduating from the University of Minnesota – Duluth, a move to New Jersey with her husband exposed her to the great art and museums of New York City and to the Somerset Art Association in New Jersey. Her family moved to Indiana in 2003, where she was exposed to the oils – her current passion. Artist Jeannine Paul was born in Paris, France, and is a Holocaust survivor. She first studied art while in hiding at l’ecole de la Petite Republique in Sevres, France, during World War II. Marriage brought Jeannine to Memphis as her husband was a doctor at Le Bonheur. Having now lived in Memphis for more than fifty years, she has continued her art studies at Memphis College of Art. Her paintings are inspired by her travels and joy for life. 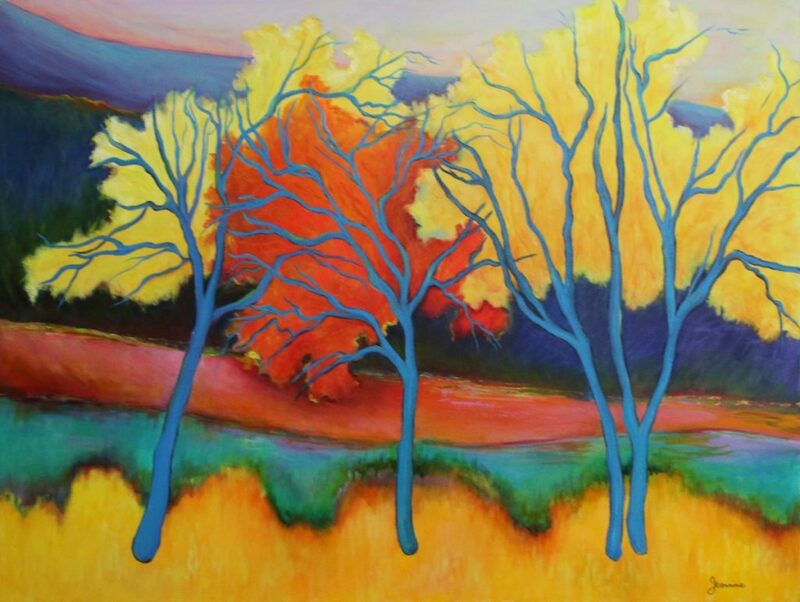 Jeannine’s paintings are as vibrant as she is. There is a lot to Jeannine’s nearly 90 years of age. Maggie Grier is a self-taught painter. Her B.S. in Mechanical Engineering was received from University of Alabama, Birmingham. Subsequent to that, she spent many years painting for her own enjoyment and selling her work through local shops and decorators while working in engineering, designing hydraulic power units and valve systems. In 2005 she determined that painting should be her life’s work. From her humble beginnings as an avid sketch artist and doodler curled up next to her father as he poured over his plans for his air conditioning business, Catron has spent the past twenty years as a painter, answering her inner call to create beauty and introspection that will eventually end up both inside and outside of homes and offices. 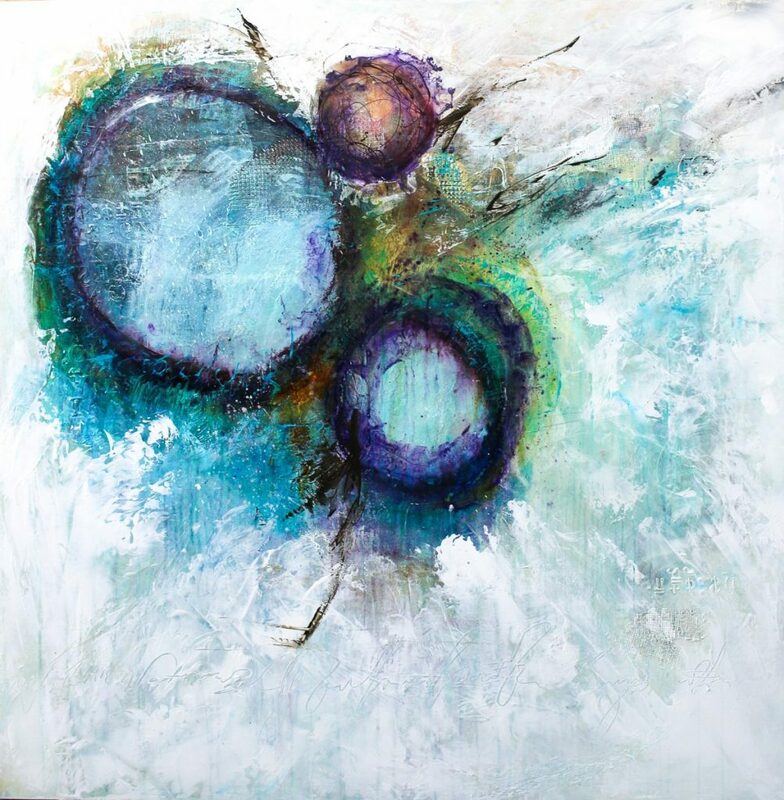 An abstract artist working in a base of acrylic layered with other mixed media, she strives to create a piece that invokes the viewer to see something different every time they walk past it. 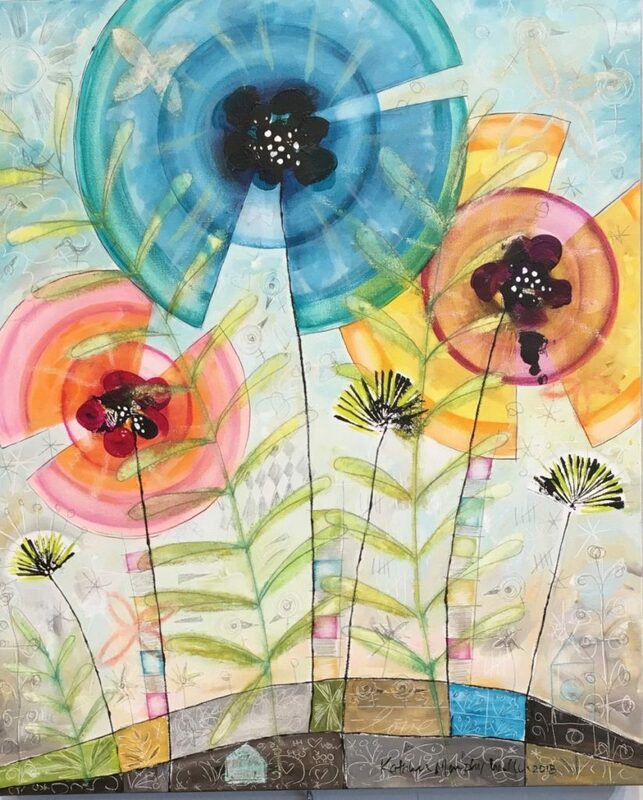 Entirely self-taught, Catron paints with acrylics, watercolors, coffee grounds, sand, and graphite; basically anything she can get her hands on to bring her optimistic and energetic personality onto the canvas. She uses brushes, her hands, cardboard, spatulas, forks, and spoons to create the layered effect that is signature to her work. She gains inspiration by allowing herself to become deeply attuned to the natural world, and then uses music to tune in to that inspiration as she creates. 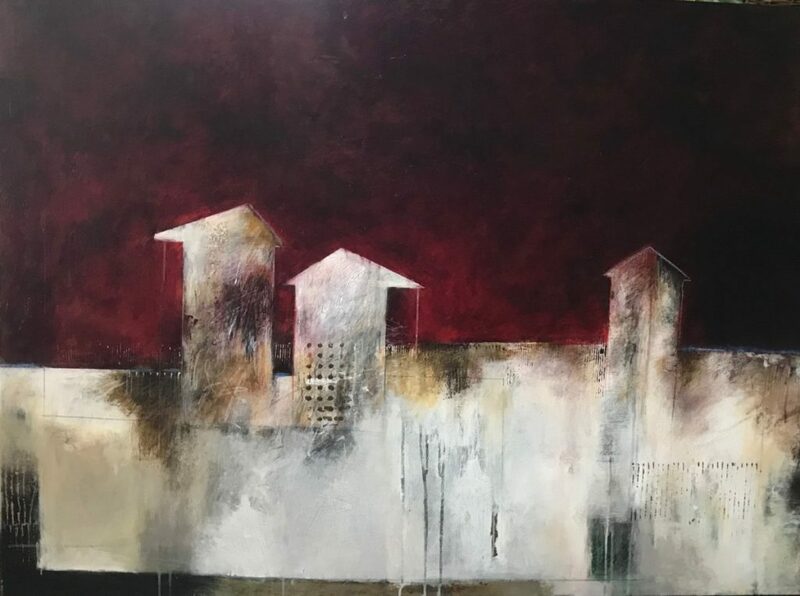 Catron’s work can be found in the homes and offices of many private collectors, including Turquoise Condo in Orange Beach, several showcase homes in Dallas, Little Rock, Mississippi , Tennessee and was a featured artist in Legends Magazine in 2013 in her home-state of Mississippi. In 2016, Catron made the leap from Brandon, MS where after a little bit of settling in (moving three times in the first year) she has finally found her little slice of heaven just outside of Nashville, Tennessee. In a turn of the century home, surrounded by neighboring horses, she is now fully grounded and making her mark in her new surroundings with exhibits and installations at Studio 208 as part of the Nashville Art Crawl, and the new 505 Building. She is also soon to be featured on the exterior street-level windows of the iconic AT&T building in downtown Nashville. If artist block should ever set in, you can find Catron out in nature, hiking, kayaking, or horseback riding, readying herself for a new burst of abstract innovation. Lee was raised in Annapolis, Maryland and Westport, Connecticut. She attended both the University of Arizona (Architecture) and Radford University (Art). For the past twenty years, she has enjoyed Southern living in Mississippi. In addition, Lee has traveled extensively both in the U.S. and abroad. In 1992-93 she lived in Warsaw, Poland which she used as a home base for her travels to the art capitals of the world. She spent this time studying in Paris, Vienna, Amsterdam, Budapest, Ireland, London, Rome and Costa Rica. Recently, she spent the summer studying at the prestigious Glasgow school of art in Scotland. Her works hang in homes in the U.S., Europe and South America. She is especially recognized for her work in oils using a knife and focuses on landscapes, portraits and still life. Her colors range from traditional to vibrant; her sense of light and shadow reflect an inner eye’s perspective. She fully captures her subjects with a passionate embrace of professional longing for perfection. 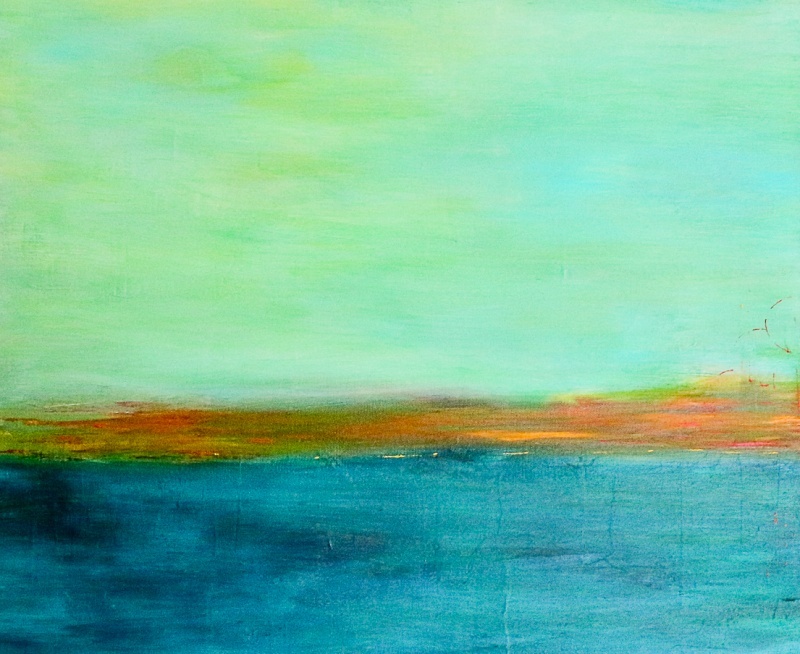 Lee offers each painting as if it were to hold a place of honor in her own home. This is the singular recognition of the value she places on each piece. N.J.’s distinctive creativity blossomed by watching her father Yancy paint in the middle room of their shotgun home. Where, as the third born of nine children, N.J. used tempera paint to scribble pictures on the windows. She’s since traded in the tempera for acrylic, and window panes for canvas. Her primitive style of painting, heavily influenced by visits to her Grandma Sarah’s house in Coldwater, Mississippi and other country relatives, often reflects the dichotomy of city life juxtaposed with rural traditions and stories. These stories transferred onto the canvas, typify slices of life during the sharecropping and civil rights eras marked by the adroit use of emotive colors, folksy compositions and poetic titles. J.J.’s subject matter and style is often compared to renowned artists Carroll Cloar and Clementine Hunter. Erin’s art career started with sketches of the cartoon Speedy Gonzalez that she sold at recess. After an intense high school art study and a discouraging Art teacher, she chucked her art dreams and went Business School at University of North Carolina. It took 10 years of office job security that finished at a major healthcare corporation for her to realize that the corporate career track wasn’t for her. She would rather chase after risky-no-one-makes-it, non traditional, exciting life. Challenge accepted! Erin is self-taught, and following a plan of no-plan because something magical happens when you do so. Larry is an artist based in Northern Michigan. 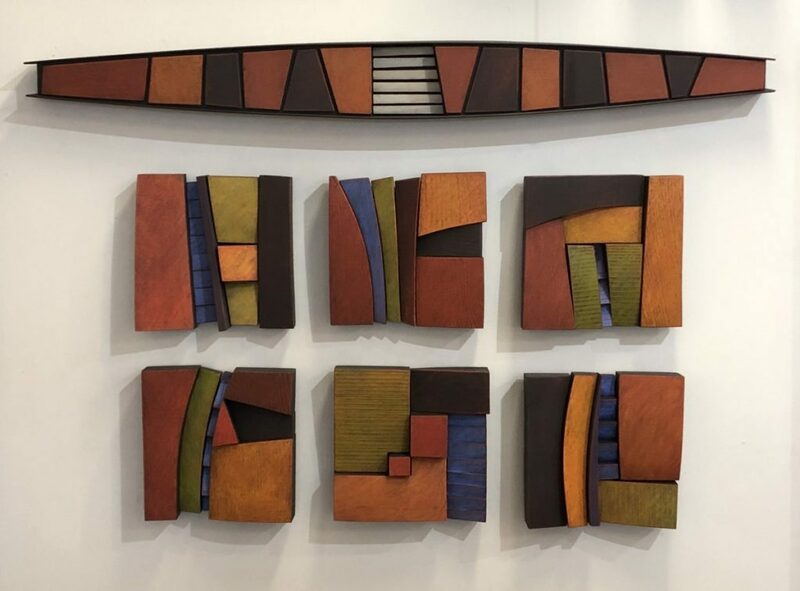 He creates the three dimensional work by making a wooden frame and structure and using painting processes to embellish the form. 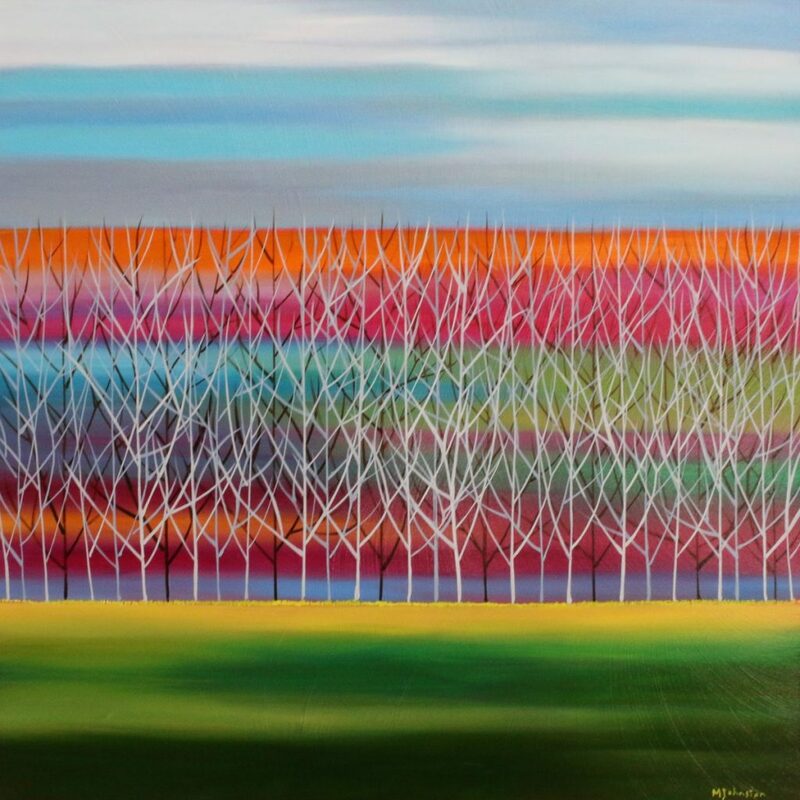 Larry’s work stems from his architectural education background and his love of the urban and natural environment. His work can be found in private and corporate collections around the country. 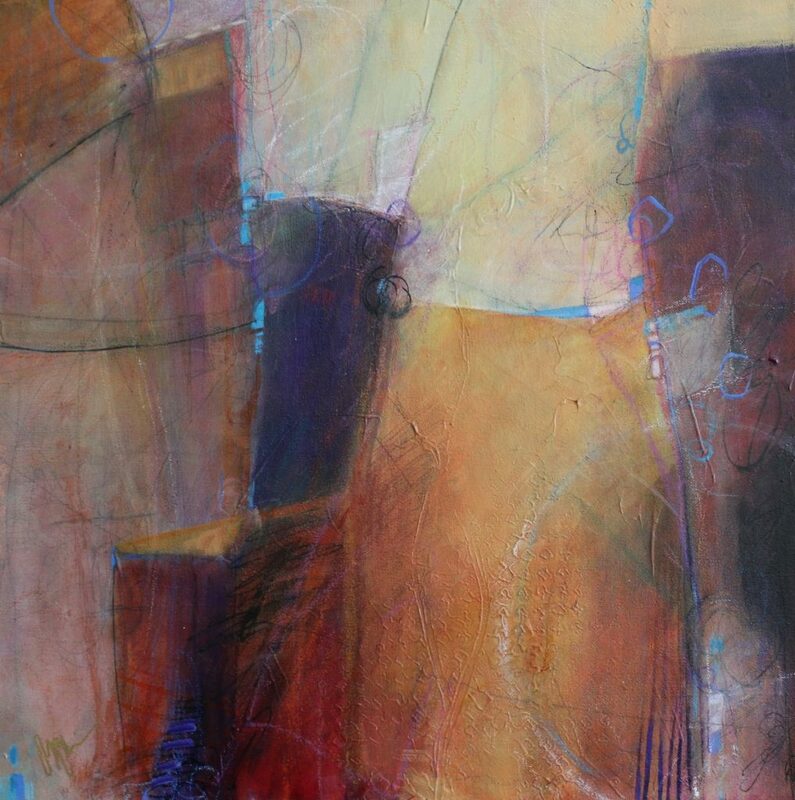 Mississippi Artist Darlene Scott captures moments and feelings using expressive color and texture in her artwork. Finding inspiration from nature and the ever changing landscape, she strives to signify the importance of the little things in life and evoke memories of special places in the heart. 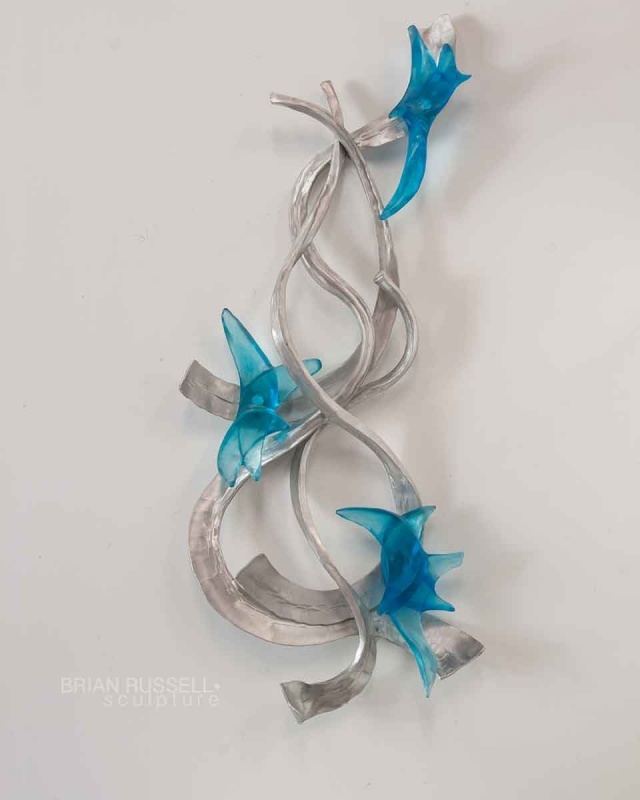 She has participated in numerous shows and won several awards in juried competitions. Paint mediums include acrylic, oil, and pastel. Jamie’s seeds of creative inspiration are almost always planted by her observations of the fields, the forests, the people, and the cultures that make up the “Crazy Quilt” of the Mississippi Delta. 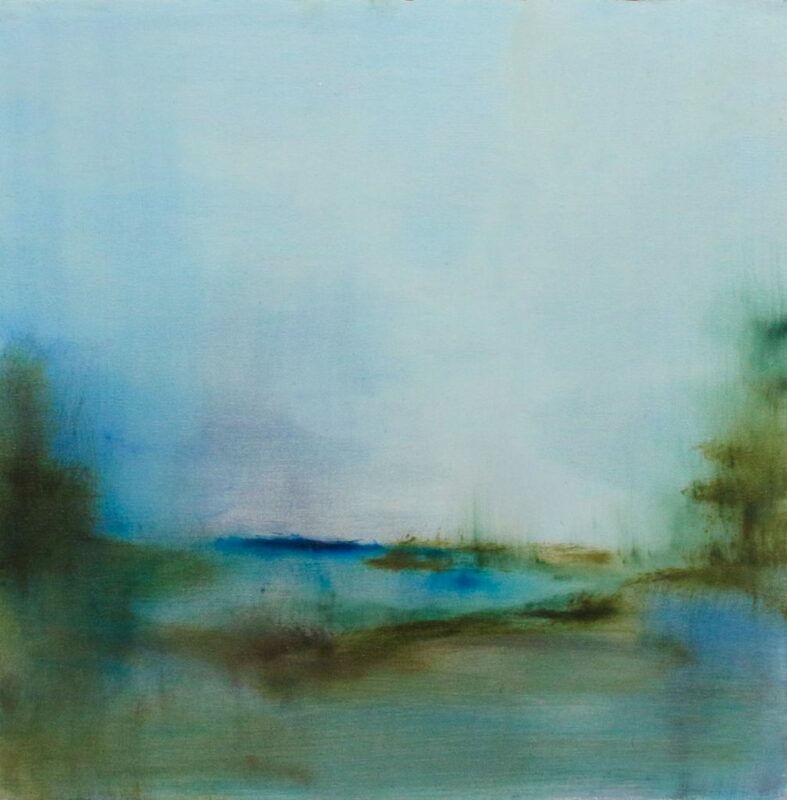 Landscapes are at the heart of Jamie’s work – her personal interpretation of the Mississippi Delta – evolving over the years from representational work to the contemporary and abstract style of today. 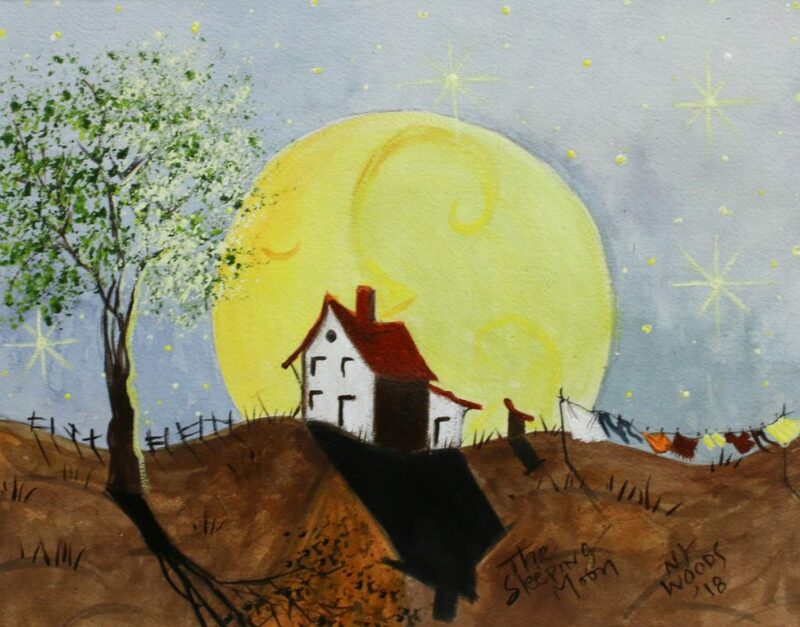 Jamie has received numerous awards for her art. She is a founding member of the Delta Artists Association in Mississippi, currently holds Board of Director seats on the Greenville Arts Council and the Mississippi Art Colony. She has previously held Board of Director seats for art associations in Texas and Arkansas. Mel describes her approach to art as a contemporary constructivist. 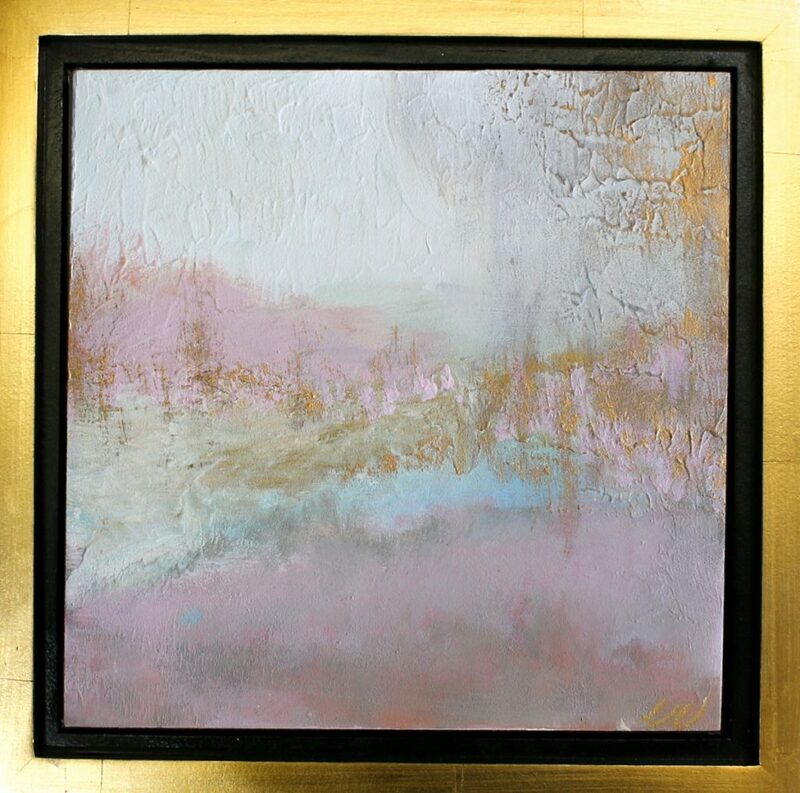 Her thinking is based on metals and their layers – colors that can be built up and scratched or sanded away to reveal another texture, softened like a lingering abstract memory. She fabricates her enthusiasm for natural vistas with her sculptural paintings and jewelry. While she doesn’t always know ahead of time what her artwork will reveal, she knows she has no choice but to look beyond the surface. Mel has maintained a solo studio for more than ten years in Minneapolis. During this time she has refined her skill via formal training as well as experimentation. However, it is her childhood days spent living in the country that she feels are the greatest influences on her art. Having spent hours picking up rusty nails on her family’s sandy, hilly driveway after a rainstorm, she says that she can still see the rusty textured layers – the burnt orange, sienna, and sometimes a hint of blue-green patina. This corroded metal intrigued her and still does. Today, Mel is featured in art gallery collections across the United States. 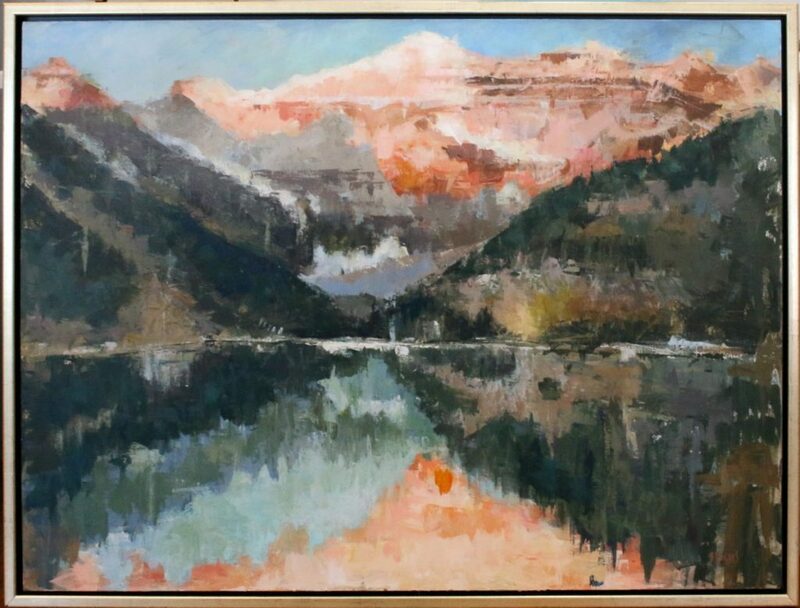 Charles finds his inspiration from European and American impressionist painters – the application of color and value in order to create an image in the viewers mind without depicting each detail of a scene or model. Charles feels that art should stimulate some memory or emotion within the viewer, something that causes one to pause for a moment and to literally have an encounter with the specific piece of art. His interest in painting began in McComb when his mother gave him art lessons in the fifth grade with the late Margaret Cain. 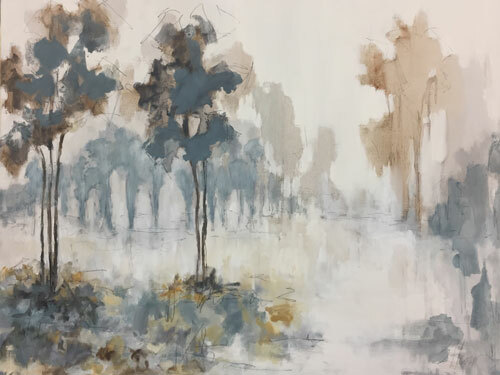 Years later while in medical school, he dabbled with oils and continued to paint on an intermittent basis until his wife gave him a series of lessons with Dianne Norman of Jackson, Mississippi. 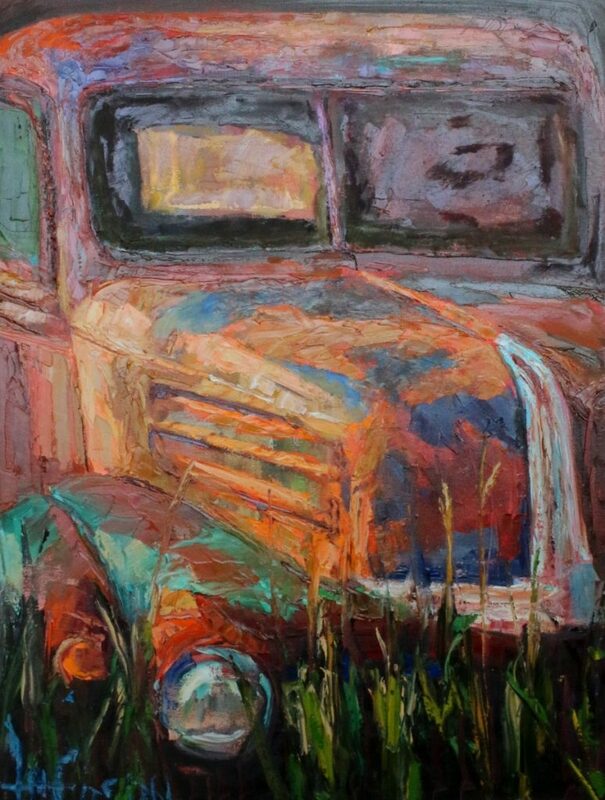 He is a former member of the Mississippi Artist Guild, and his paintings have won several local awards. His painting of the Café Du Monde won a national award at the annual conference of American Physicians Art Association. Dr. Guess does some painting outdoors but because of time constraints he usually uses photographs as a basis for a painting. He does his own photography as it is important to have a feel for the location and to have a better understanding of what is in the shadows and surrounding area beyond the framework of the photograph. He keeps two cameras in his van as he is always on the lookout for a pleasing or interesting scene. 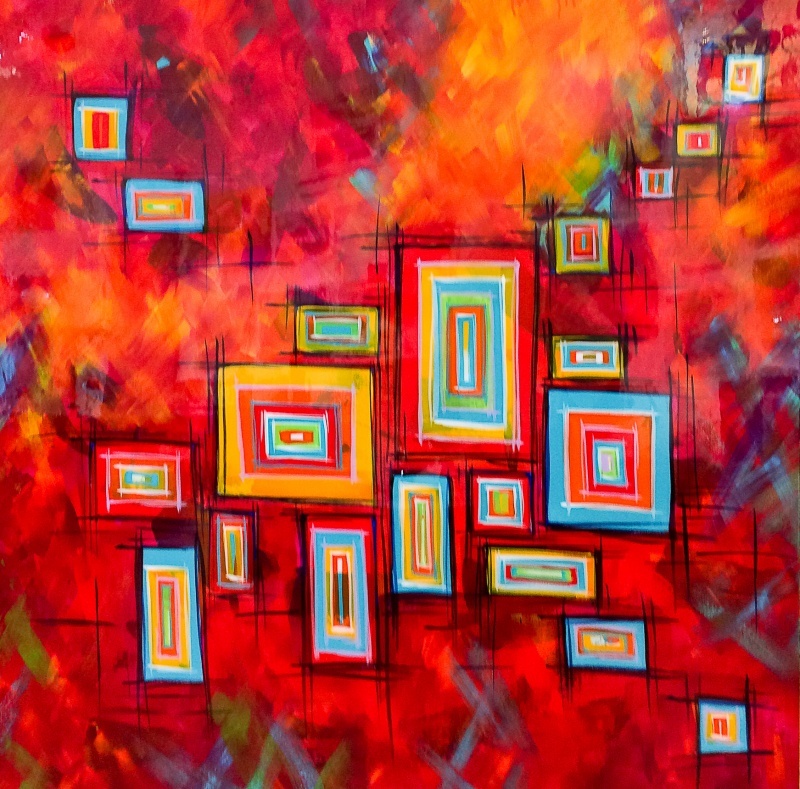 He has began to experiment with variations of color and some of his pieces lean more toward abstract. He enjoys a variation of style. Glenda is a native Texan, born and raised on the Gulf Coast. Her love of glass began in 1983, and she spent the next 25 years working for glass artists around the country. Based on the knowledge and experience she gained, she opened her own studio in Austin, Texas. Her work is a reflection of the awe and wonder she feels at nature’s ability to create the rare and exotic. Craig started his journey in pottery at the age of 16, when he started experimenting with clay on an abandoned pottery wheel at his school. 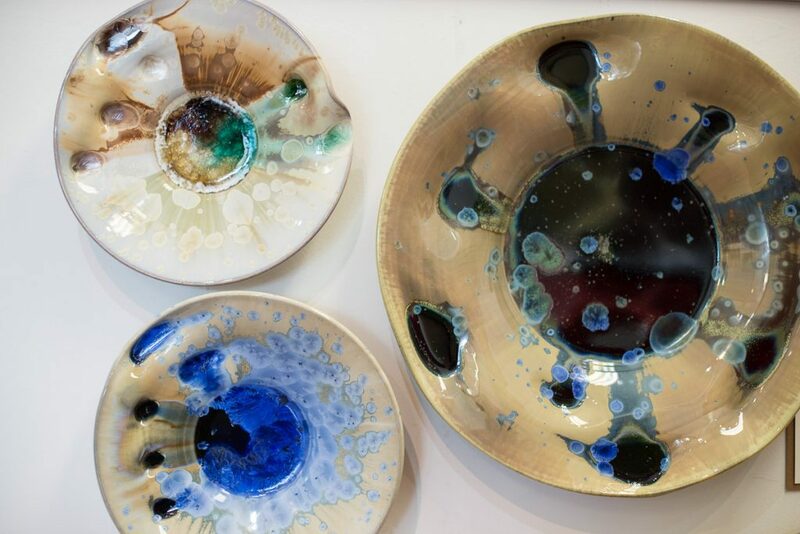 Self-taught, what developed was a lifelong passion with ceramics. He is known for testing the limits of clay, and adapting his studio and skills to push the medium both in size and with his glazes. (artist statement) In my youth, my dream was to be an artist. 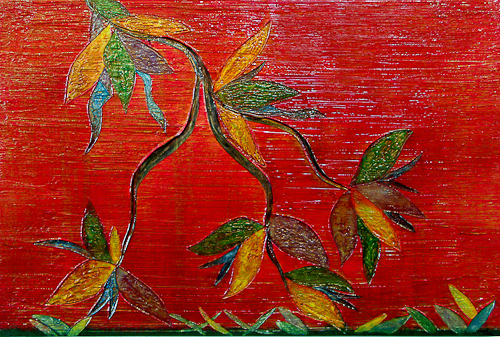 Always the creative and imaginative one, that dream was awakened in 2005 when I took an acrylic painting workshop. 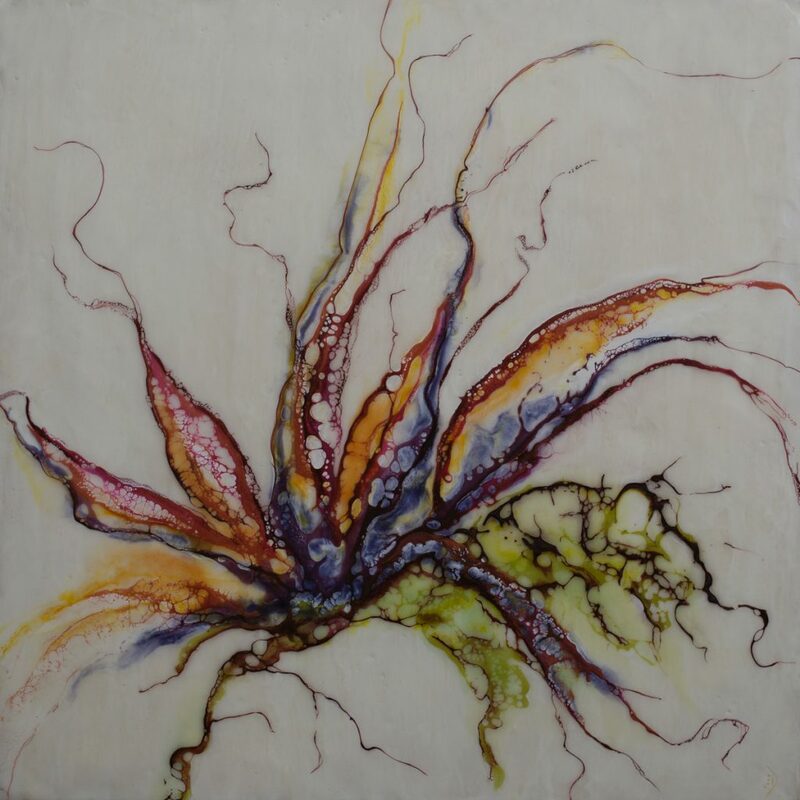 Now a full time artist, I work primarily in encaustics – the ancient process of painting with molten beeswax, tree resin and pigments. I have a deep connection with and concern for the earth. Using a medium made from natural elements strengthens that connection. My paintings are imaginative but rooted in the beauty and fragility of our natural world. Each painting has upwards of 30 layers of wax, each fused with a torch, heat gun or iron to the layer below to become one integrated surface. A layer may be scratched and stained or gently heated to create a smooth translucent surface. This medium is so fluid it takes on a life of its own. As the colors are heated they dance and swirl, sometimes combining, sometimes separating into unpredictable lines and organic shapes. By adding shellac, ink, mica and other media I hope to have a painting that is bold yet ethereal and sparks the imagination. 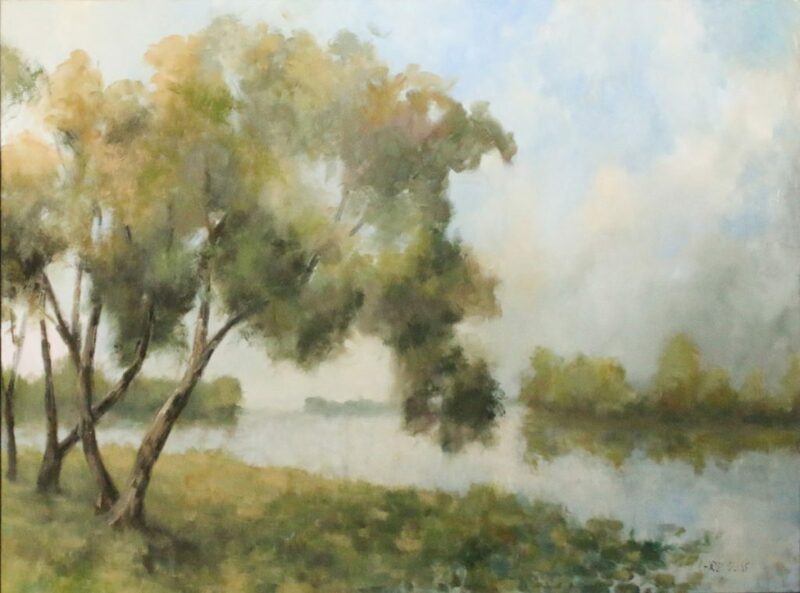 Sharon was born in Mount Carmel, Illinois, and grew up in Kansas where her art interests began, spending countless hours watching her mother paint. She started out at Kansas State University with a different degree in mind and then switched her classes to art history, drawing and painting after a visit by her mom who handed off her art supplies. Sharon began to experiment and then found she could not stop…she had finally found her passion. She now lives in St. Louis with her children and an assortment of furry critters. Over the past few years, Pat has been distracted from painting while helping Broad Avenue redevelop. With key initiatives accomplished such as the Water Tower Pavilion, she has resumed her studies of color. Pat’s current paintings have been inspired by the interactions and diversity of the urban core – life in neighborhoods. How people interact – or don’t – are reflected through her use of colors and movement within her paintings. Pat is co-owner of T Clifton Art and godmother to Argus. Featured in this collection are SOLD original mezzo fresco paintings by Tom. We know his previous works often inspire commission desires for our clients. Enjoy this retrospective.